I forgot to post a pic. 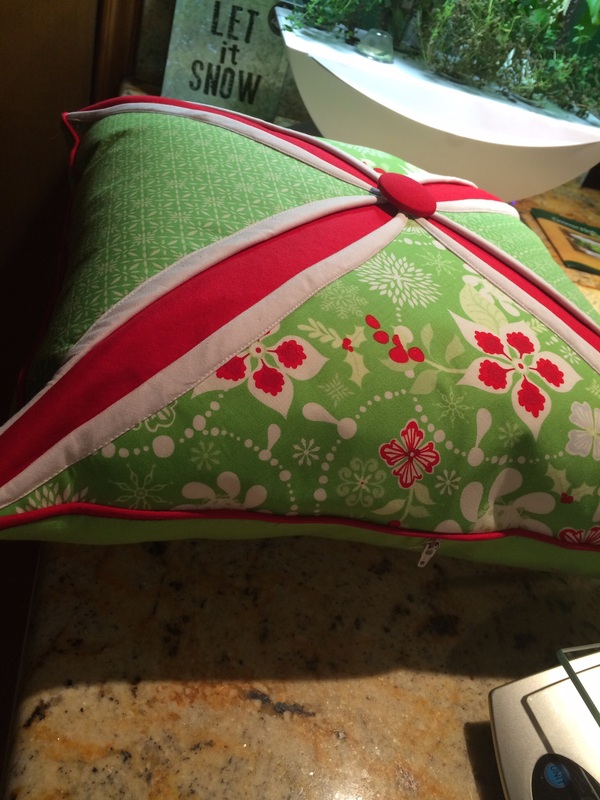 This was the pillow I made for the San Antonio Modern Quilt Guild pillow swap. I saw a cathedral window block and knowing it’s pretty traditional figured it was so pretty and if I followed the make it big, it could squeeze under the modern category in a slight way. The person who ended up with it, let me know that she really liked it. I learned a new technique and had a lot of fun. Previous Previous post: There Is A Philosophy of Monoprinting?